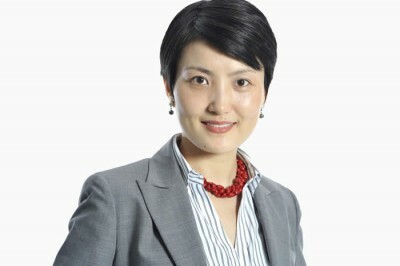 Charlotte Ren is Associate Professor of Strategic Management at the Fox School of Business, Temple University. She’s also a Senior Fellow at Wharton’s Mack Institute for Innovation Management at the University of Pennsylvania. Previously she taught at Purdue University and the University of Pennsylvania. Charlotte has a Ph.D. in Management and an M.A. in Economics from UCLA, a Bachelor’s degree in International Politics and a minor degree in Law from Peking University (China). Charlotte’s research interests focus on two areas, competitive strategy, and innovation & entrepreneurship. Her current research investigates how business and nonprofit organizations compete along nonprice dimensions including product variety, geographic location, and service. For example, her research shows that when retail stores offer “price match guarantees” that prevent them from turning to price reductions to attract consumers, they choose to compete or coordinate in product variety depending on whether their rivals are co-located or not. Charlotte also examines how organizations adjust innovation strategy and manage corporate entrepreneurial processes to improve their technological competence and overall performance. She conducts research on a number of industries including retail, hard disk drive, aircraft, computer workstation, and charter schools. Charlotte is published in the field’s leading academic journals such as Management Science, the Journal of Management, and the Strategic Management Journal. Her paper “the Rise and Fall of Entrepreneurial Opportunities inside Organizations: A Process Model for Corporate Entrepreneurship” received the IDEA Award (“Research Promise”) from the Entrepreneurship Division of the 2008 Academy of Management Conference. She has served as an ad hoc reviewer for journals including the Academy of Management Journal, Management Science, Organization Science, and the Strategic Management Journal. In addition, Charlotte has taught courses at the undergraduate, MBA, and Ph.D. levels on strategy, entrepreneurship, technology and innovation management, and cross-sector collaboration. With a course she developed on social entrepreneurship, she received the 2017 Innovation in Entrepreneurship Pedagogy Award from the Academy of Management’s Entrepreneurship Division.